If I make a dish three times in two weeks, it merits its own blog post. 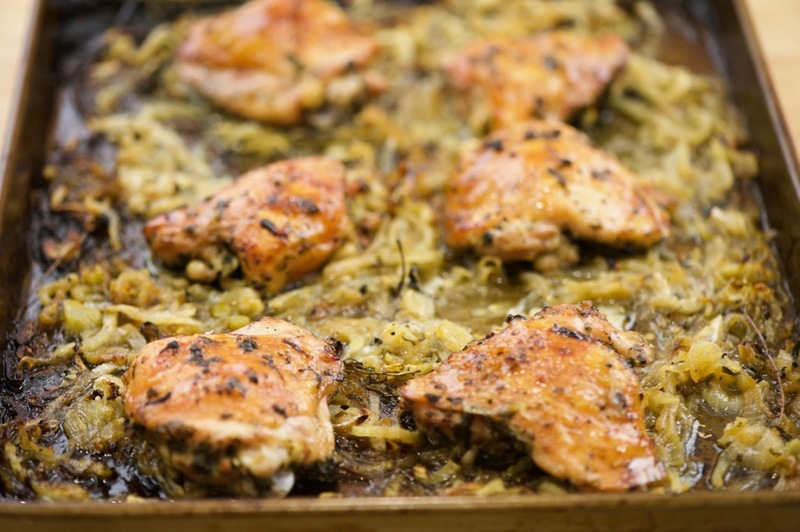 Melissa Clark’s Tarragon Chicken with Sherry Vinegar Onions is delicious. If you skip today’s post and scroll through the pictures to the recipe, I would understand. For those who just ate or are browsing food blogs at work without access to a kitchen, I’ll try to use my words to do this recipe justice. Think French countryside. Think homey. Think simple, yet assertive. Think onions cooked in chicken fat. Think happiness. It’s not often a dish makes me feel this way. One of the most common questions I get is whether I cook complicated meals all the time, every day. I don’t. Sometimes I’m just hungry and crave something simple and delicious. Melissa’s tarragon chicken is perfect for those days. While it’s simple, it does take a little bit of preparation the night before. 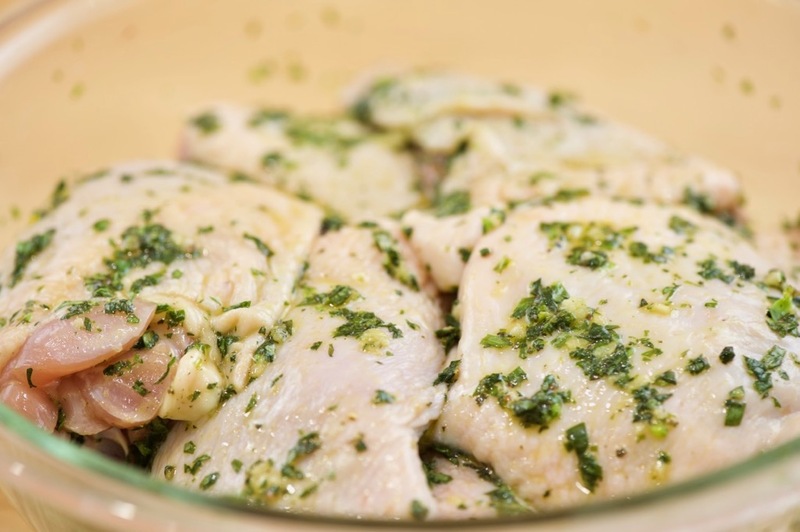 You should marinate the chicken overnight for optimal tarragon flavor. 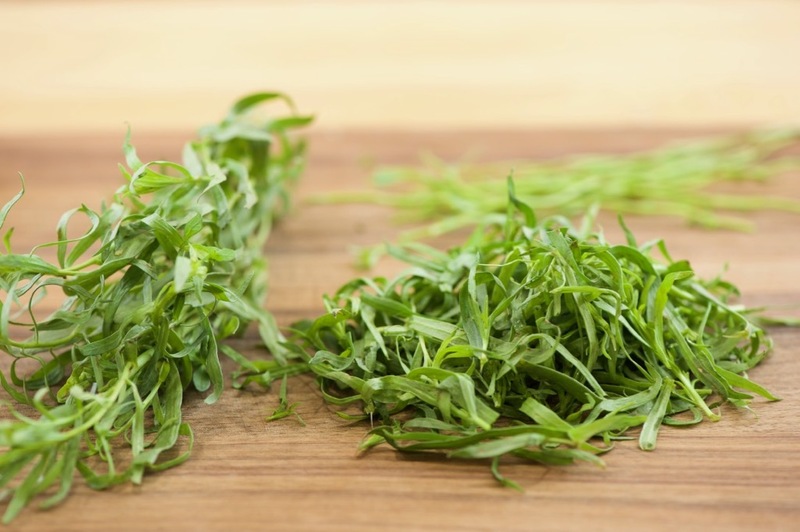 Fresh herbs, unlike their dry counterparts, have a subtle flavor. You need to give the flavor time to permeate into the chicken. Once the chicken is marinated though, the dish comes together in no time. The first time I made this dish, I prepared it just as Melissa described in her recipe: I thinly sliced the onions, I used plenty of tarragon, I finished it with a splash of sherry vinegar—it tasted amazing. The supporting role of the onions should not be understated. 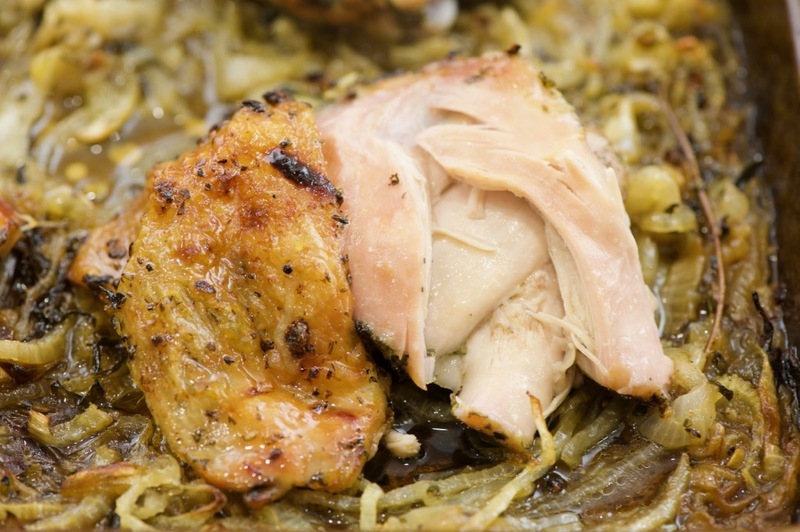 The onions cook down in the herb-infused chicken fat and developer a rich, caramelized flavor profile. That splash of sherry vinegar at the end cuts through the chicken fat so that your palate can discern the flavor of the herbs and chicken. The second time I prepared this dish, I wanted to double down on the anise flavor of the tarragon. I added thinly sliced fennel to the bed of onions. The texture of the roasted fennel blends perfectly with the melt-in-your-mouth onions. Roasted fennel imparted a caramelized anise flavor that pairs perfectly with the tarragon. The third time I prepared this dish, I didn’t need to change anything. For fun, I decided swap out the thyme for marjoram, which tends to have a grassier, sweeter flavor profile. It was perfect. That’s the variation I present to you today. It’s a keeper. Bookmark this page and make this for your friends and family. You can thank me later. Tarragon leaves are long and slender. Remove any tough stems so that you’re left with the fragrant leaves and some tender stems. 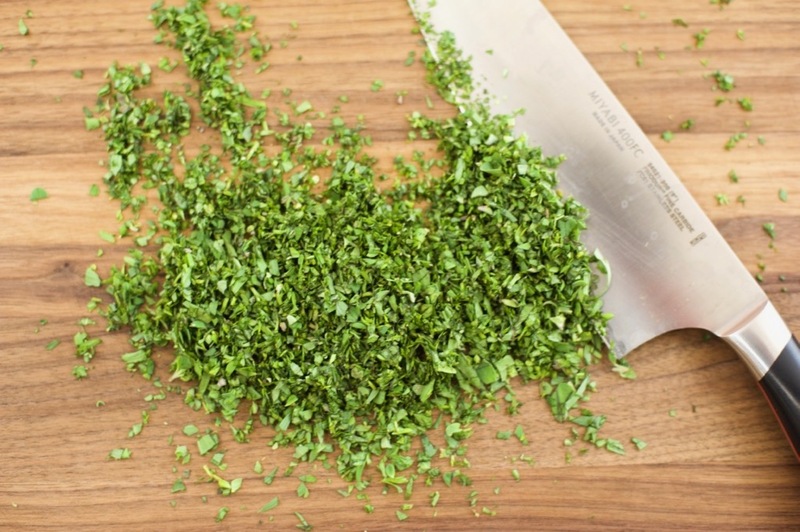 When you’re chopping herbs, make sure you use your sharpest knife and the herbs are relatively dry. This will help prevent the herbs from bruising. The marinating step for this dish is important. 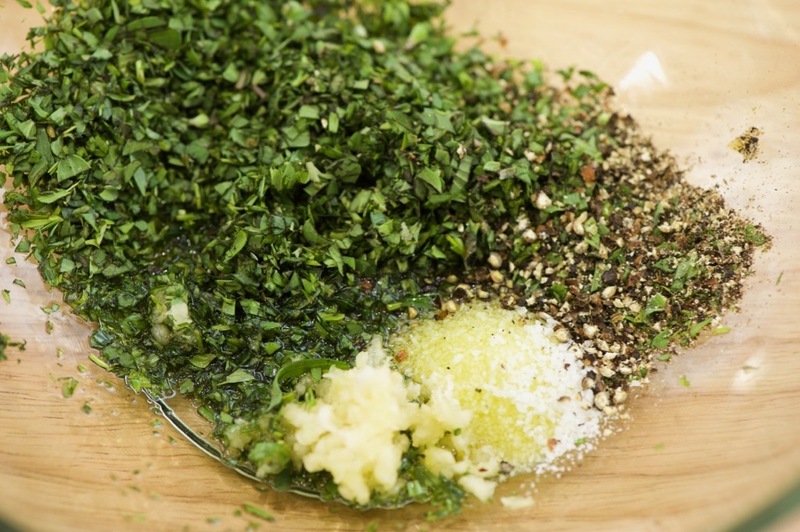 Fresh herbs have a subtle flavor and need time permeate the chicken. The onions and fennel make this dish. Slice them thinly so that they can develop a rich, caramelized flavor profile. In a large bowl or a large ziplock bag, stir together the chopped tarragon, chopped marjoram, garlic, oil, salt and pepper. Add chicken thighs and toss to coat. Cover with plastic wrap (if using a bowl) or seal (if using a ziplock bag) and chill overnight (or last least for six hours). Heat oven to 425 degree. 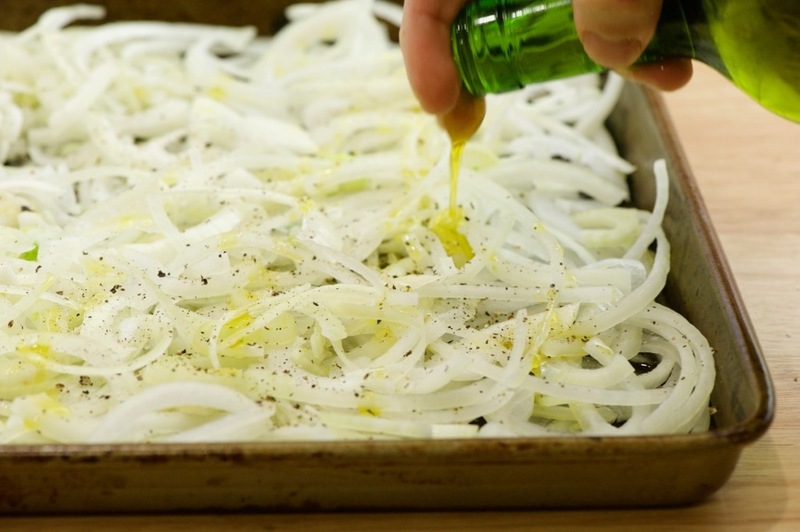 Spread thinly sliced onions and fennel out on a rimmed baking sheet. Make sure the onions form a thin layer so that they caramelize, not steam. 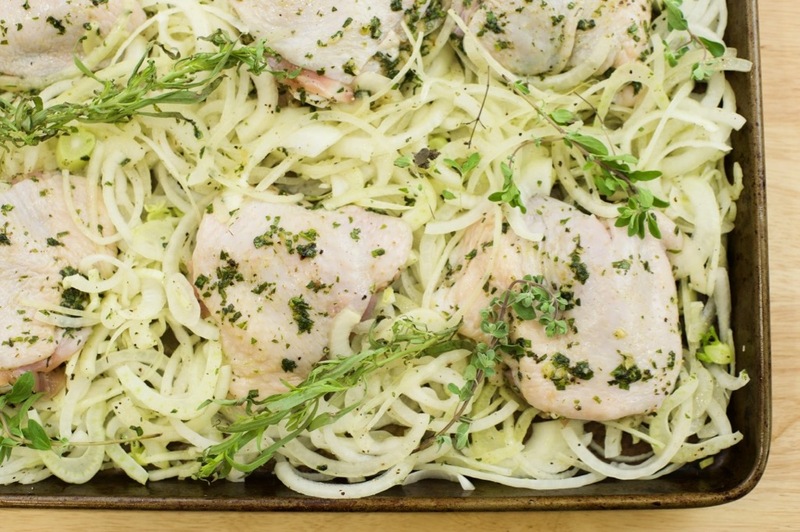 Nestle the chicken thighs on the baking pan so that the onions and fennel surround the chicken. Add the marjoram and tarragon sprigs on top. Roast, tossing the onions and fennel after 15 minutes, until the chicken is cooked through and the onions are tender, 30-35 minutes. Turn on the broiler for 1-2 minutes at the end so that the chicken skins get crispy and the onions and fennel caramelize further. Place chicken on a platter. Drizzle onions with sherry vinegar and more salt and pepper if needed. Spoon onions around the chicken and serve. Note: Recipe adapted from NYTimes: Tarragon Chicken With Sherry Vinegar Onions. Posted in entrees, French, savory by Antonio Tahhan on February 4th, 2018. You can follow any responses to this entry through the RSS 2.0 feed. You can leave a response, or trackback from your own site. This is a wonderful recipe we have been checking out this blog and recommending it to customers for Middle Eastern ideas.